Headless Mode/ Intelligent Orientation Control (IOC) System: Eliminates need to adjust the position of aircraft before flying. Great for beginners as it reduces the steepness of learning curve! 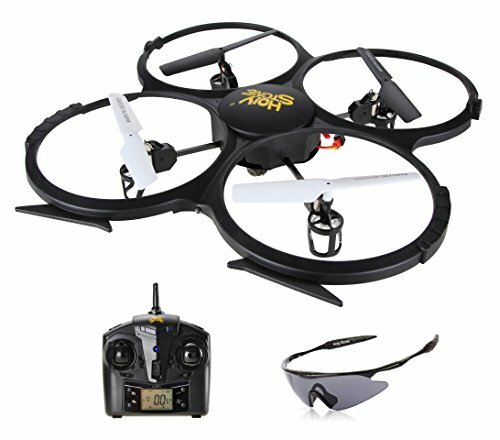 The weight of quadcopter is less than 0.5lb and no registration is required for this model on FAA. Strong powerful motors enable the helicopter to fly much longer and more efficiently. Charging Time: 90-120 mins; Flight Duration: 7-9 mins.